State Department condemns rocket fire from Gaza, but says Abbas cannot do much to stop the attacks despite pact with Hamas. 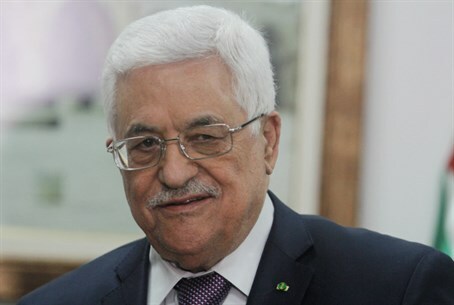 Mahmoud Abbas, savior of Israel? The U.S. State Department condemned on Wednesday the rocket fire from Gaza, but also said that Palestinian Authority (PA) head Mahmoud Abbas cannot do much to stop the attacks, despite having signed a unity pact with Hamas. “We condemn all rocket fire from Gaza. It is unprovoked aggression against civilian targets and is totally unacceptable,” State Department spokeswoman Jen Psaki told reporters, speaking after a Kassam rocket fired by terrorists in Gaza exploded in the Eshkol Regional Council area, causing no physical injuries or damages. “We believe that President Abbas must do all in his power to prevent deterioration in the security situation, but we would also note that he has upheld his responsibility to maintain security coordination with Israel and he has publicly stressed his commitment to do that. And so I think he has made every effort to be – continue to be a partner in this regard,” she added. Abbas indeed condemned the rocket fire from Gaza, but not because of the threat to human or Israeli lives. Rather, he said, such attacks are a threat to the Hamas-Fatah unity pact and Palestinian Arab security. The new Hamas-Fatah unity government was sworn in last week. This was followed by announcements from the European Union, the United States and the United Nations, all of which said they were open to working with the new unity government despite the inclusion of Hamas, an internationally recognized terrorist organization. Defense Minister Moshe Ya’alon expressed doubts last week that Abbas would be able to disarm Hamas and take control of Gaza, despite the much-vaunted PLO/Fatah-Hamas reconciliation.